The Missus enjoying a late afternoon walk while west Phoenix gets some rain in the background. When you live in the southwestern desert you learn to accept that much of the summer is just plain too hot for outdoors activities. That’s not to say one is housebound the entire time, but aside from morning and evening walks hiking is not on the schedule. In late September the weather starts to change, and we start getting out a little more. The town we live in has opened a new park recently, so we took an hour or so to take some pictures and enjoy the weather. This entry was posted in Camping, Nature and tagged Hiking, Nature, Southwest on September 29, 2016 by Phil Ryan. As barren as the desert frequently appears, there’s quite a bit of life to be found. Water, though scarce, can be found if you know where to look. The White Tanks got their name from the fact that frequent flash floods over time eroded depressions that hold water. It’s not surprising that it became a choice grazing area for a cattle ranch in the early 20th century. During its time as a ranch a windmill powered well was installed that created an oasis. 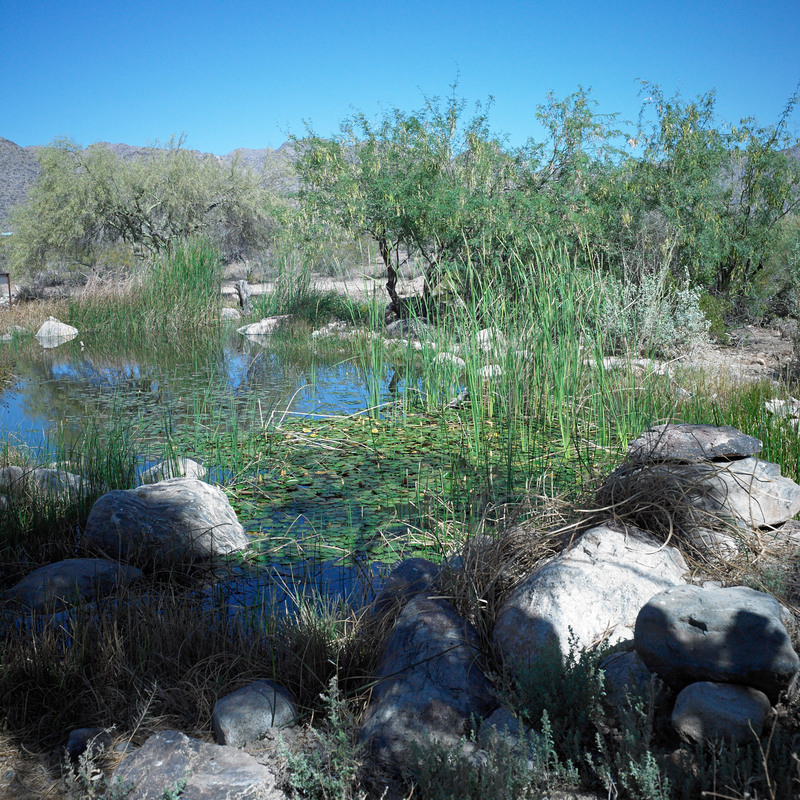 Now part of a county park, the oasis is almost swamp like in the variety of life to be found there.